We care for colonoscopy for cancer polyp screening, abdominal pain, diarrhea, constipation, gas, heartburn, gallbladder, liver, pancreas, colitis, Crohns, rectal bleeding and ulcers. 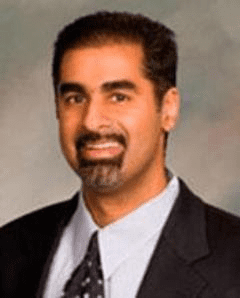 Dr. Mullick has completed his medical school 1996 Johns Hopkins, Internal Medicine Residency Johns Hopkins 1999, and GI fellowship Cleveland Clinic 2002, and was a faculty at UVA until 2003 and then moved to Chicagoland and since then have run a successful practice in the Western Suburbs. 4) American College of Gastroenterology Practice Guidelines Committee Past Member. 5) American College of Gastroenterology Public Relations Committee Past Member. 9) Humanitarian Award for Patient Care Chicago Hospitals.